With over 900 Reef Balls deployed this is truly a great cooperative effort. Watch the video to see how they were deployed and why. Then think creatively about a project for your area. Oysters are important and we have lost so many in the waters around the world. What will you to to restore marine habitat? Over the past few years as I attended workshops on Blue Carbon, I have always suspected that Oysters may be a way to remove carbon. Afterall their shell is calcium carbonate. Attached is a link to an article that may make a good case for mover forward quickly in the re-establishing oyster populations in all our estuaries and definitely as part of a homeowner living shoreline project to replace or augment their seawall and dock. Get out your virtual reality goggles, adjust up to 4K and take a look around. The Watershed Project is an NGO based in Richmond, CA that inspires Bay Area communities to understand, appreciate and protect our local watersheds. My first engagement with the organization was at Bubbles and Bivalves, their annual fundraiser at the Aquarium of the Bay on Pier 39 in San Francisco. Much of their programming and activities align with what Hustleshuck is trying to do as far as using oysters to get people more connected to (improving) the marine environment. 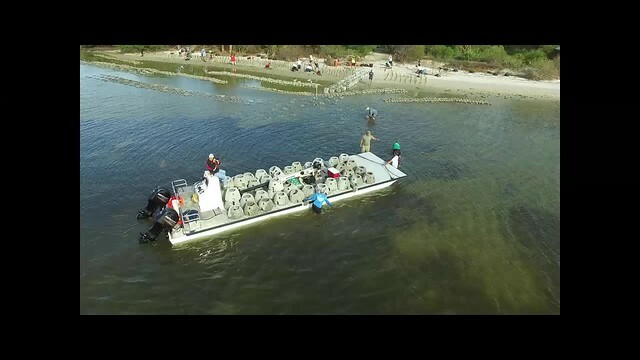 Their flagship project is a set of artificial oyster reefs located on the tide flats at Point Pinole on the eastern shore of San Francisco Bay. Several times a year a group of volunteers go out to monitor the reef in order to get a sense of the state of the native oyster population. Olympia oysters are the only species of oyster native to the West coast. There wasn’t much of a commercial industry for them in the San Francisco Bay as there was further north in Oregon or Washington, however they still played a crucial role in the estuarine ecosystem. Across the globe, oysters are recognized as a keystone species in coastal environments thanks to their habitat forming and water filtering capacities. These ecosystem services were lost when sedimentation and declining water quality created an inhabitable environment for oysters in the San Francisco Bay. Like similar projects in New York Harbor and Chesapeake Bay, The Watershed Project is trying to reestablish native oysters in San Francisco Bay in the hopes of improving the health of the environment, regaining some of the biodiversity that was lost, and connecting local inhabitants to the history and promise of the Bay as a natural and cultural resource. It was an early to start to get over to Point Pinole by 7am. We had to take advantage of the low morning tide in order to have enough time to collect our data before the reefs once again became submerged in bay water. We paired up in teams of two and set about analyzing the number and size of oysters on the reef balls as well as determining what else was growing on them and in the area. 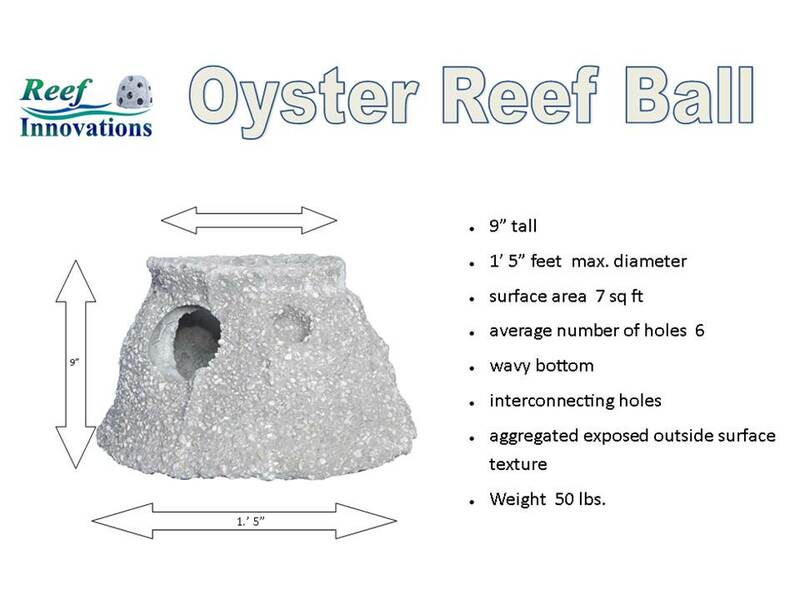 Our surveying method consisted of randomly selecting a 6”x6” area on the north side of randomly selected reef balls. With about 30 individual areas observed we could get a good overall sense of the health of population at this site. I was blown away by the number of oysters we found, as well as the amount of algae and other invertebrates living on and around the reef balls. It definitely seemed to be a high energy environment, remarkably similar to oyster farming sites in the concentration and diversity of organisms. All-in-all it was a successful outing. I’d never seen so many Olys (as Olypmia oysters are commonly known) in the wild. The reefs were also clearly creating habitat for other animals like grass shrimp, which are a key prey species for striped bass, shad, and other fish. I’ll be curious to see how things will have changed on the next outing later in Fall. Stay tuned! 2014 Jamaica Bay Ecosystem Restoration Pilots a project of New York City Department of Environmental Protection has placed Reef Balls in Gerritsen Creek in Brooklyn and off Dubos Point in Queens. Clam shell and Reef Balls were set with oyster spat at Cornell Cooperative Estention’s lab. after the osyter larvae grew, they were delivered to Jamaica Bay for placement. 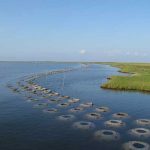 Both sites were to be monitored for 2 years to determine if the oysters can survive, reproduce and provide water quality and ecological benefits. 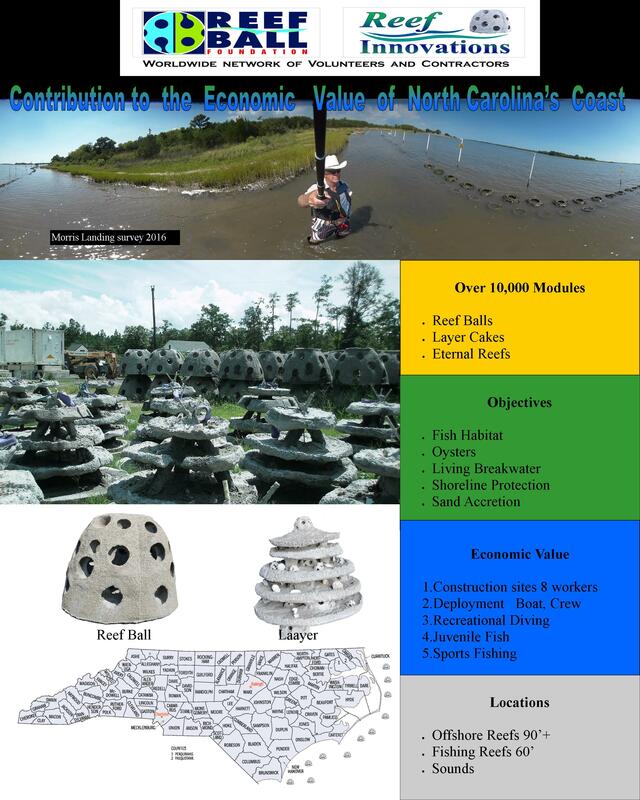 Take a look at what scientists find when surveying Reef Balls, placed for oyster restoration.